Whitewashed stone walls, hidden behind cascading green vines. Rustic café style chairs and tables line the narrow alleyways, where pastel shaded doors and shutters welcome any avid photographer. 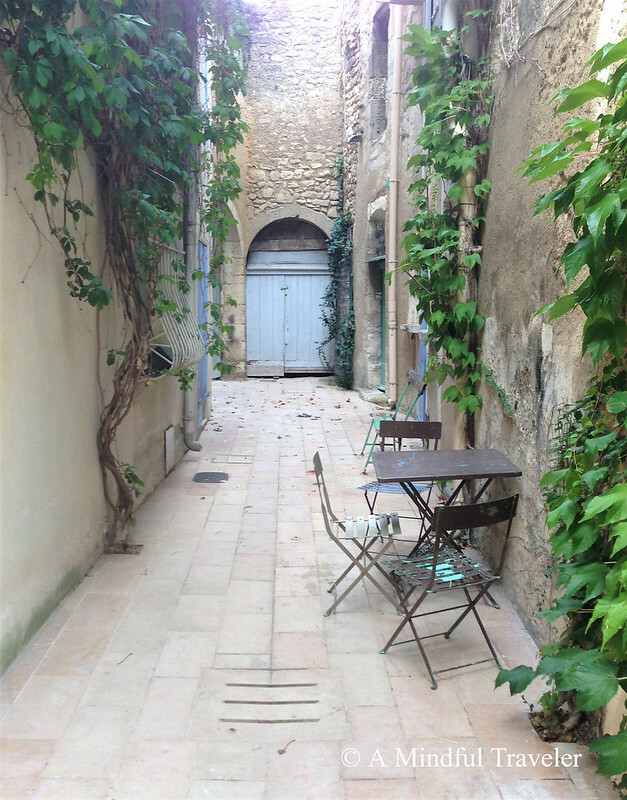 Vivid memories of the charming French countryside town of St Remy de Provence, are embedded in my mind forever. 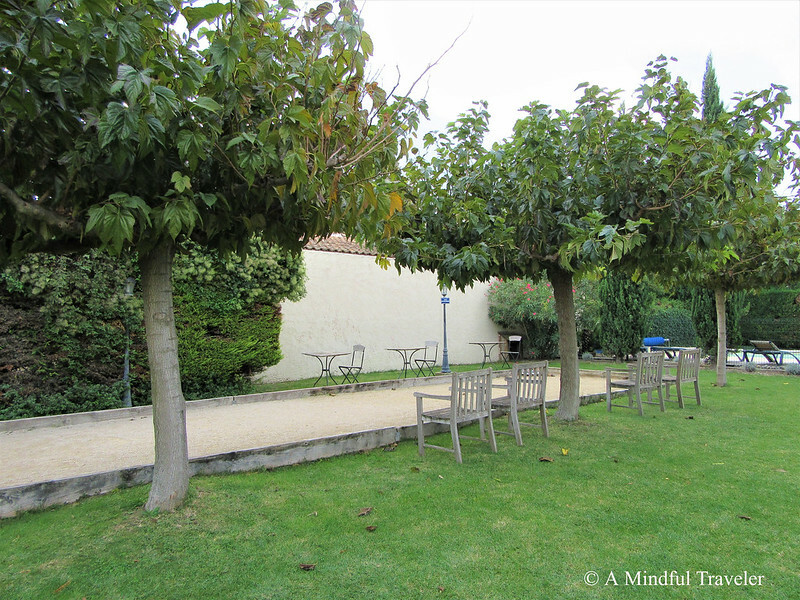 I fell in love with this village in the heart of Provence and its charm and beauty captivated me for the week that we were there for. A week in one small village, you might say. Well, let me tell you, this week was a highlight of my entire holiday. 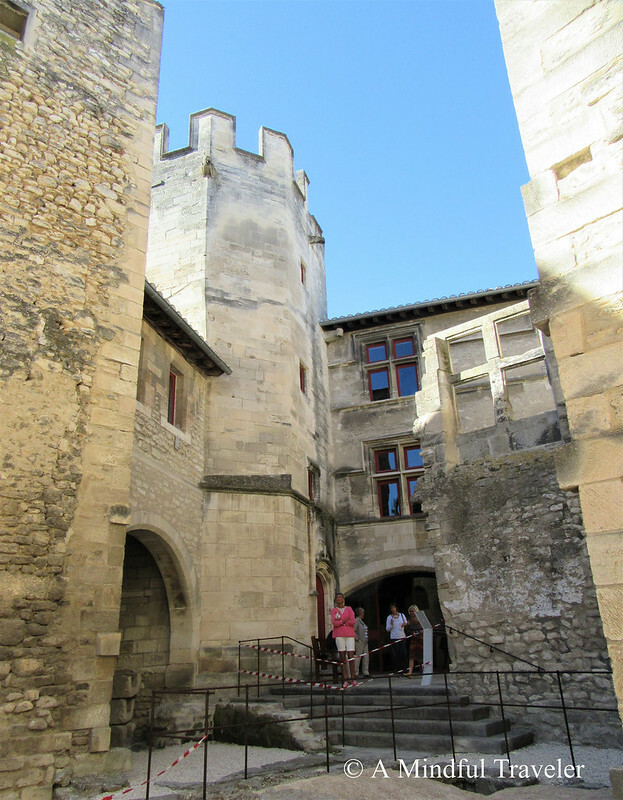 I did not realize there were so many interesting things to see and do in Saint Remy de Provence. Set near The Chaîne des Alpilles, these glorious low line limestone mountain ranges offer an enchanting panorama to the town and its nearby villages. These quaint towns present a unique “joie de vivre” of their own, and Saint Remy is no exception. This captivating town is one of the oldest towns in France. 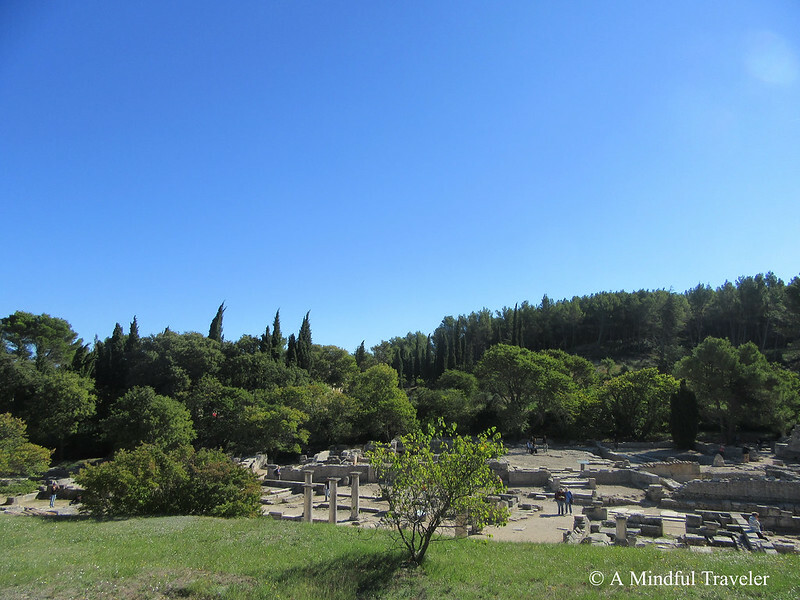 History dates back to ancient Roman times with the archaeological site of Glanum as proof. Architectural heritage from the Middle Ages to the contemporary time of the Renaissance, seen at Nostradamus’s birthplace, is worth checking out. The town is protected by the obvious remains of the 14th-century wall. 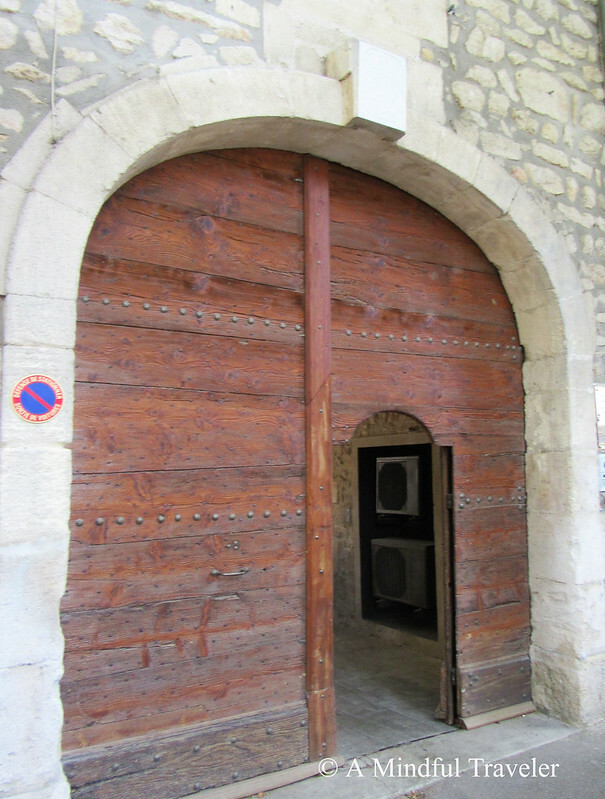 These old portes (doorways) are still used today as entrances to the old city, at both the northern and southern points. The circular layout of the city will only take you thirty minutes to walk around. The small city center, shaded by many of its century-old plane trees, house many fine restaurants and cafes along with attractive boutiques and art galleries. Wandering through the cobblestoned boulevards may lead you to one of a few small squares where pretty fountains entertain passers-by and the energy of Saint Remy is brought to life. The presence of Vincent van Gogh is unmistakable, with museums and monuments honoring the great artist. 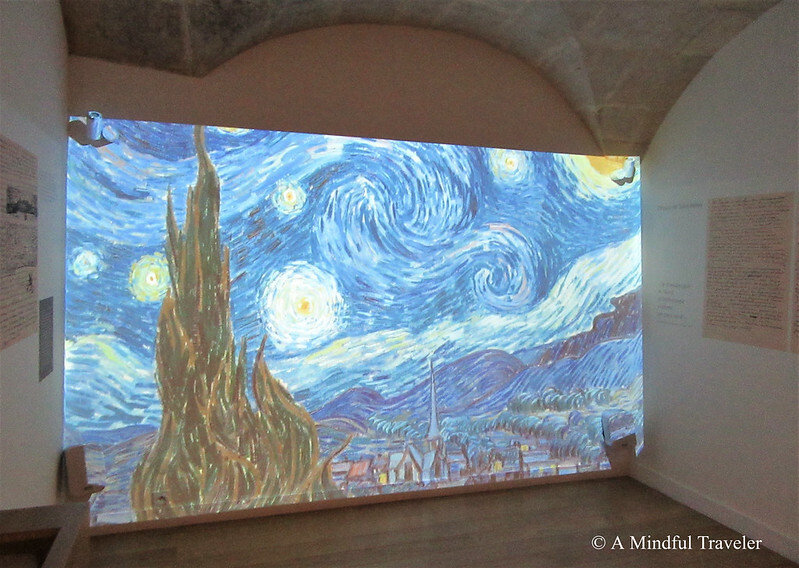 It’s no wonder so many artists found inspiration in Saint Remy, and it is here, my knowledge of van Gogh blossomed. 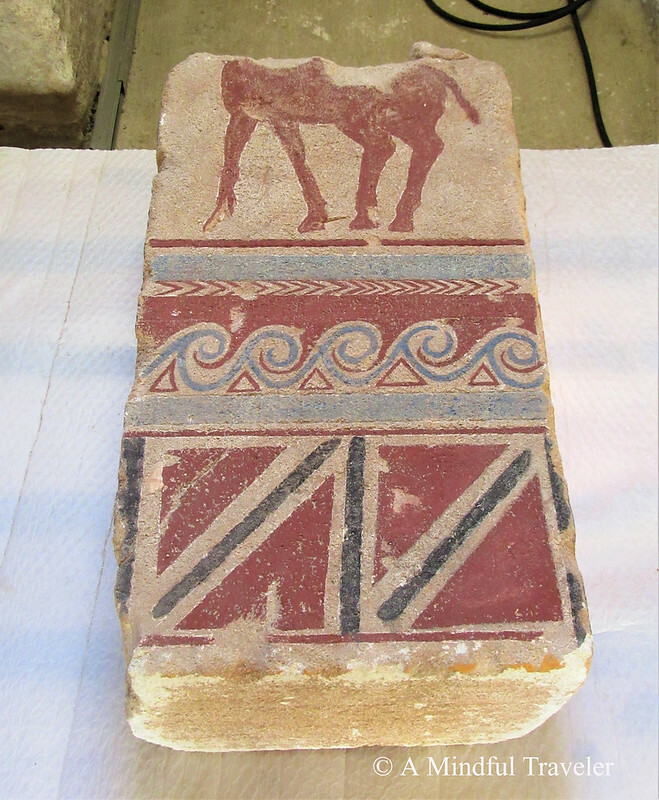 A collection of Roman artifacts from the nearby site of Glanum are held at the museum of Hotel de Sade within the city center. This museum is established in the grand Renaissance Mistral de Mondragon Mansion. A museum of society with modern style and an impressive sculpted inner courtyard. Musee des Alpilles houses ethnographic treasures of the region, aiding visitors in understanding life and culture in times before. The Musee Estrine was built in 1748 and was once the headquarters to the judicature of the Prince of Monaco. This elegant XVIII Century private mansion is now a contemporary museum dedicated to 20th Century paintings and the Van Gogh interpretation center. 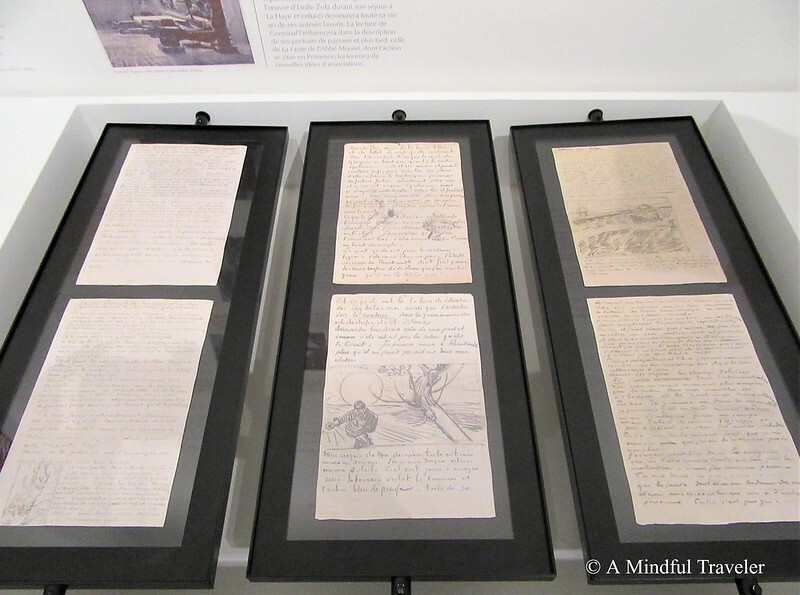 This separate area of the museum pays tribute to the life and work of this talented artist through multimedia and personal documents. Cubist painter Albert Gleizes’ artwork can also be seen here. The Catholic church in Saint Remy was rebuilt in 1821 in neo-classical style after the collapse of the previous building. 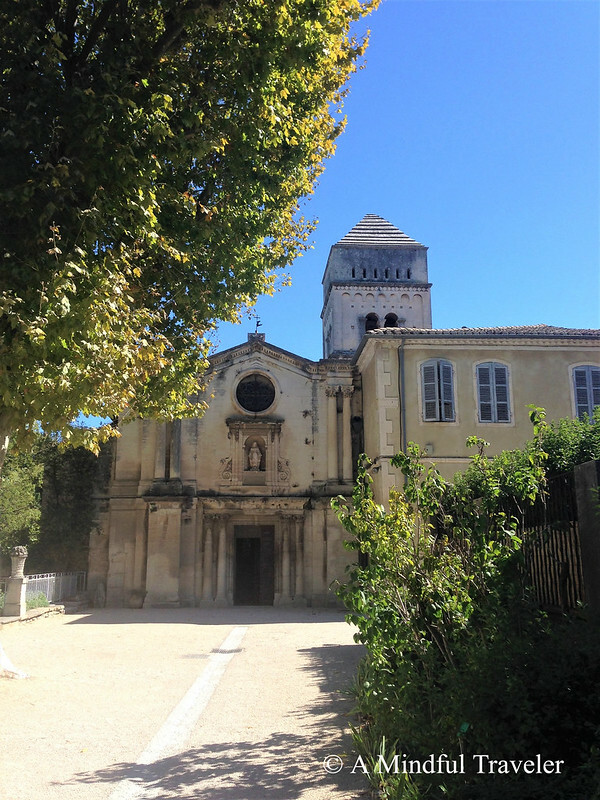 With the Jean de Renaud Chapel at the rear of the church, and the Gothic Belltower miraculously unscathed, this iconic structure stands proudly within the panorama of Saint Remy de Provence. 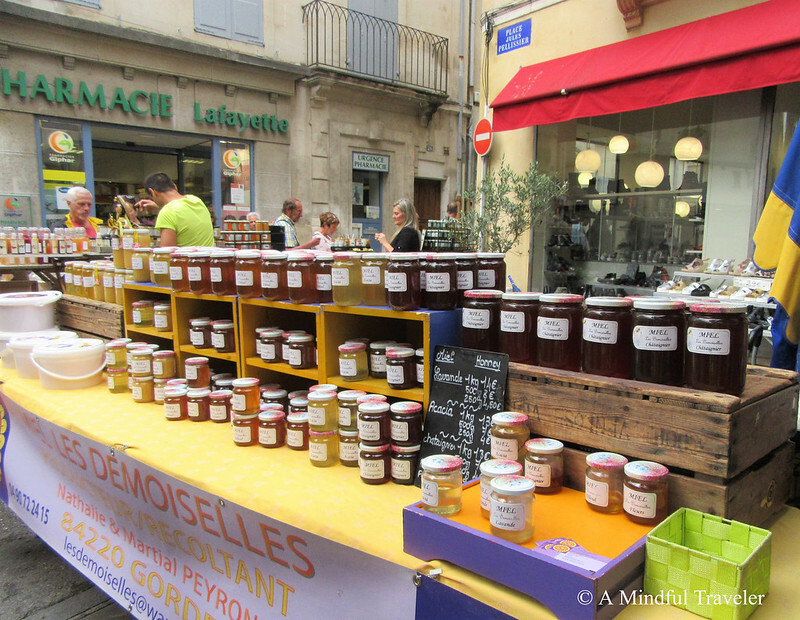 Market days in Saint Remy are buzzing with festivity. Local artisans gather within the old city and warmly welcome visitors to try and buy their specialty produce. 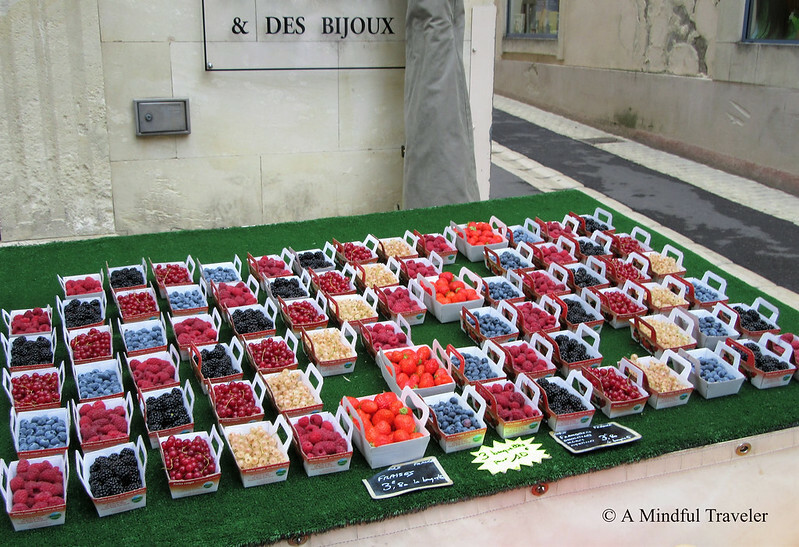 Every Wednesday morning an abundance of fresh produce, quality Provencal tablecloths, tea towels, handmade cosmetics, and local crafts await from the early hours of the day of this ever-popular market. 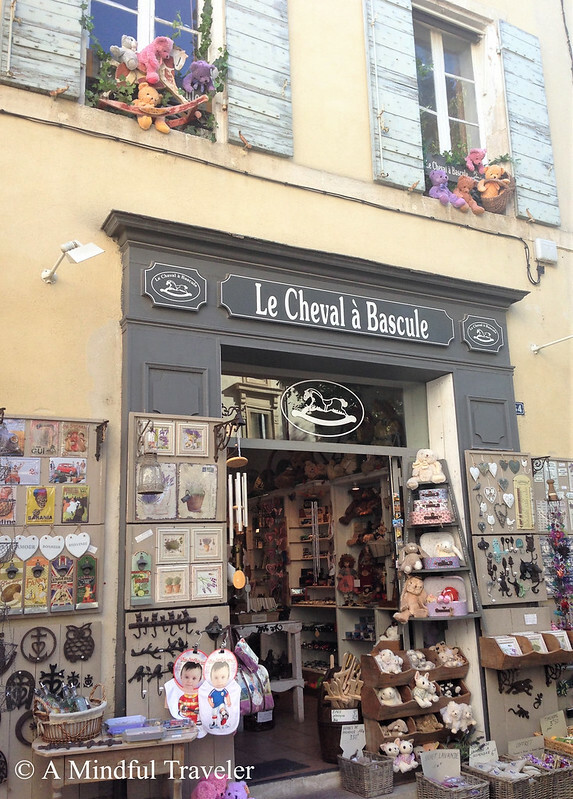 So, make the day out of it and pick up some great gifts of quality Provencal items. Parking is quite limited and the market can get extremely busy, so my advice is to either get there early or park your car on the outskirts and walk in. *There’s also a smaller market on Saturdays, with food only. 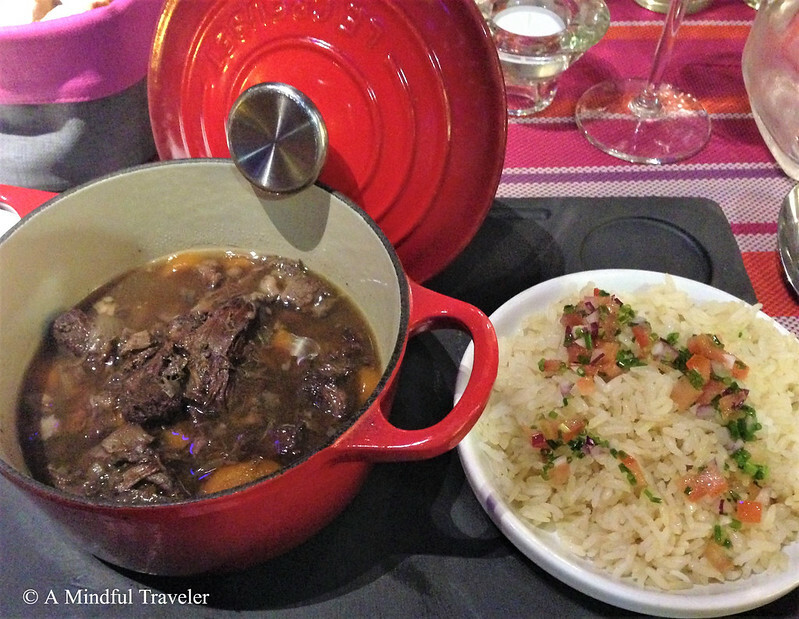 Another “foodie paradise” awaits at Saint Remy. There are many exceptional restaurants and cafes to choose from. Culinary experiences and cooking classes are also available. 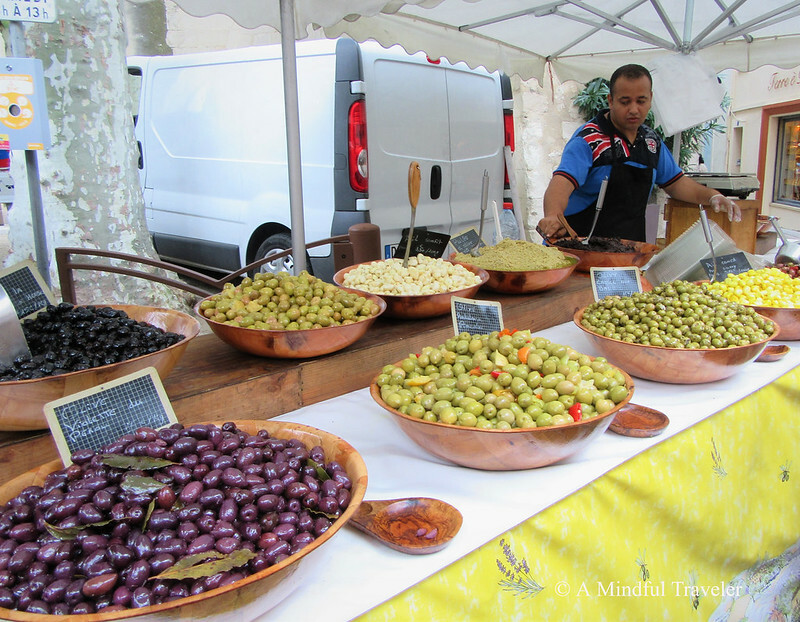 Eat your way through Provence with local delicacies and delights. 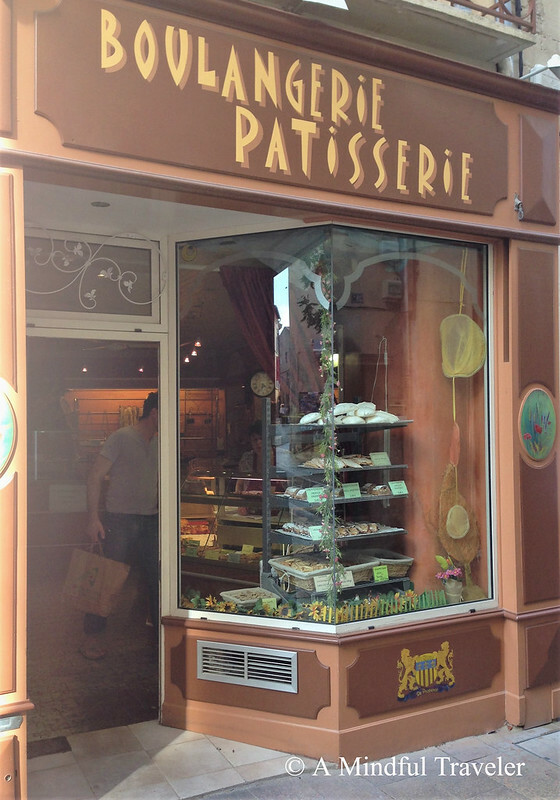 Try a nougat making class or taste traditional French chocolates and biscuits at Le Petit Duc, or a traditional baguette or croissant at the local boulangerie. The prophet Nostradamus was born here on Rue Hochein in 1503 and spent most of his youth here before becoming a world-famous doctor and astrologer. 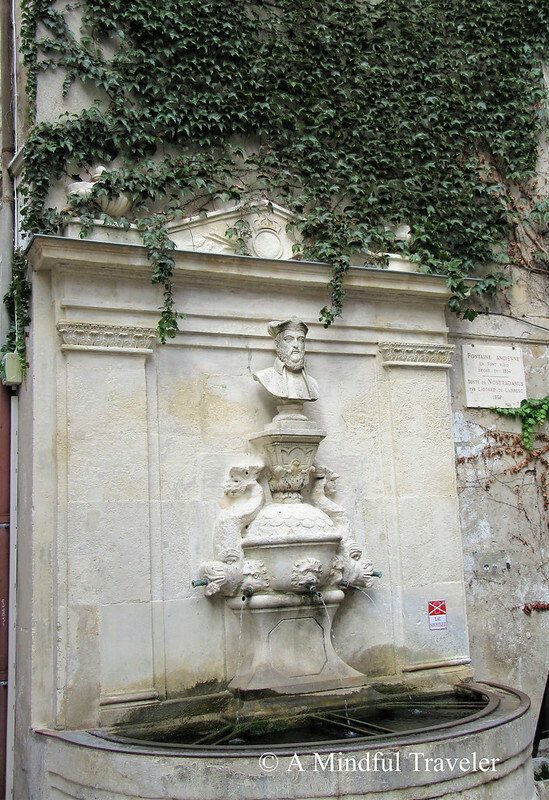 To commemorate the philosopher, a fountain was erected in one of the small squares of the city. With an undeniable atmosphere of Vincent Van Gogh throughout Saint Remy de Provence, this 1km walking tour of the countryside which inspired Van Gogh is marked out by 19 panels across the route. These panels display reproductions painted by the artist during his time in Saint Remy, allowing you to visualize the real and imaginary perspectives of Van Gogh at each stop. 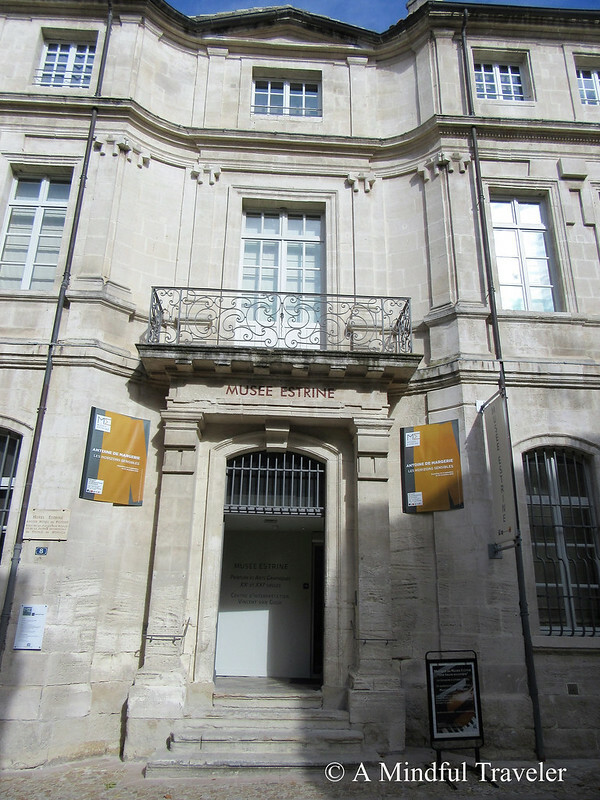 The route starts in the city center and ends at Saint Paul de Mausole, where Van Gogh was institutionalized. 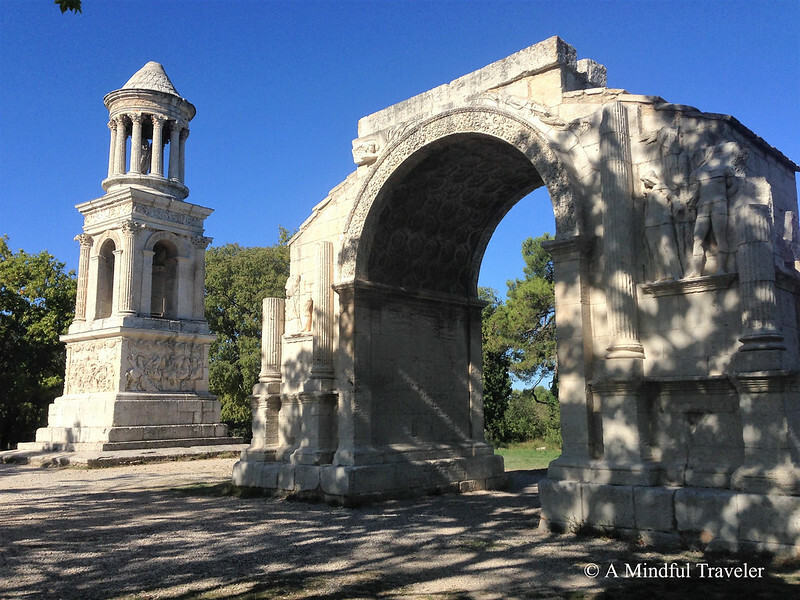 Witness some of the best-preserved Roman remains in Provence. Through many years of battles and invasions, this archaeological site assiduously preserves the ancient ruins of this once Roman city. 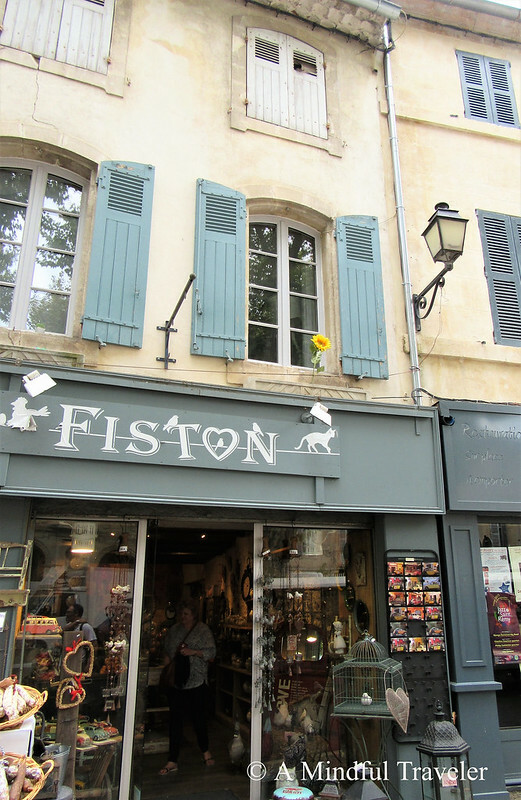 An educational history lesson not far from St Remy city center. St Paul de Mausole is still a “rest home” for residents, and visitors are asked to respect this. Within a designated wing of the Romanesque cloister, a museum recounts the period that the great artist was housed here. Visit a reconstructed room similar to the one where he was confined to and “The Van Gogh Field” where over 20 reproductions can be admired at the very place they were created by Van Gogh. 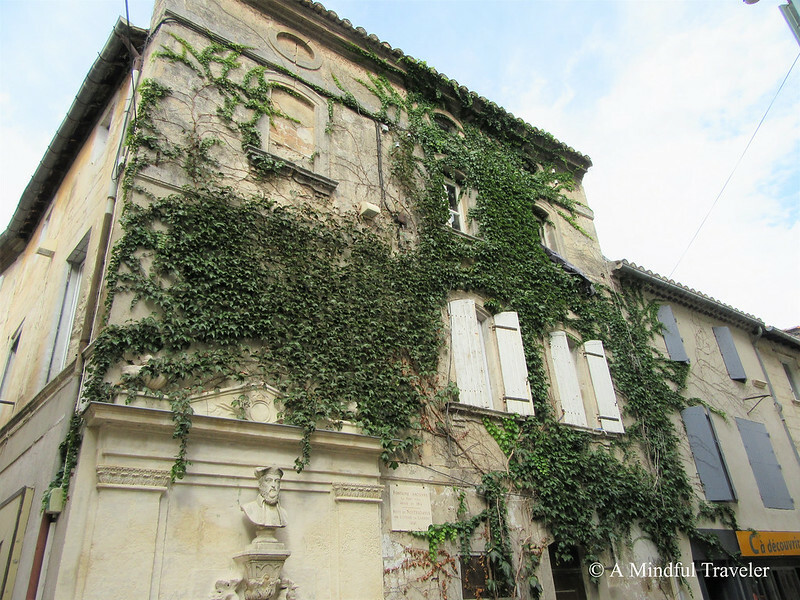 Exploring Saint Remy de Provence is easily done by foot. 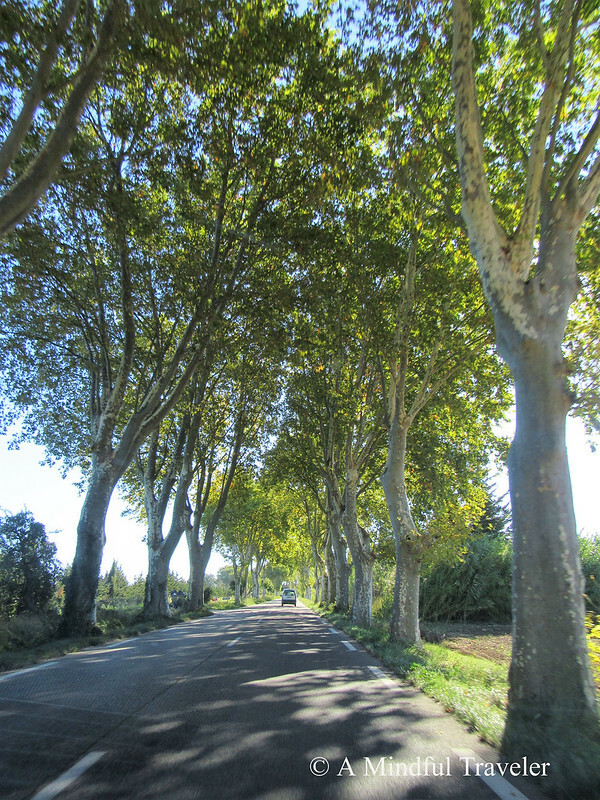 Strolling through the paved avenues and boulevards lined with majestic cypress and poplar trees delivers the charm of a typically Provencal lifestyle. Whether it be through the city center or hiking up the nearby terrain in search of beautiful vistas over the Alpilles, take a wander and see what you can find! Saint Remy offers the perfect debut of Provence. Saint Remy is centrally located to so many gorgeous nearby French towns and set among inspiring backdrops of lavender fields and olive groves. 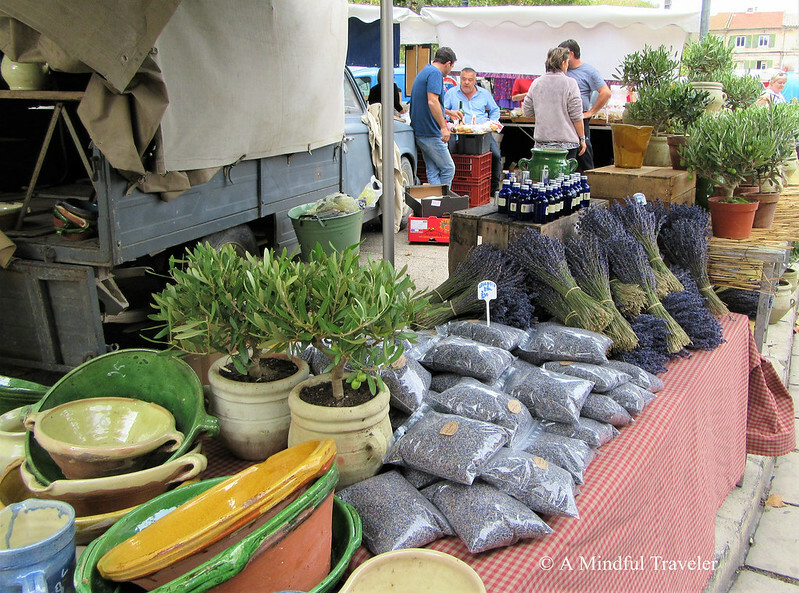 Saint Remy de Provence revealed an introduction to the Provencal way of life to me and “slow travel” emerged. I had definitely discovered a new way to travel, and I liked it. The best time to visit the region of Provence in South France is from March to May and September through November. Saint Remy is less crowded with tourists at this time as well. Though the lavender fields bloom in the Summertime period from June to August. Summer weather can range in the mid to high twenties and Winter temperatures can drop anywhere from 5-10 degrees Celsius. Hiring a car would be the most efficient way of traveling through this countryside. Public Transport: There is no train station at Saint Remy. There are several bus routes enabling access to the town. Please follow this link to find appropriate bus routes and timetable. Place Jean Jaurès – just south of the old center, on the road towards Les Baux-de-Provence and Glanum. Great to see this lovely place through your post .Wonderful share! 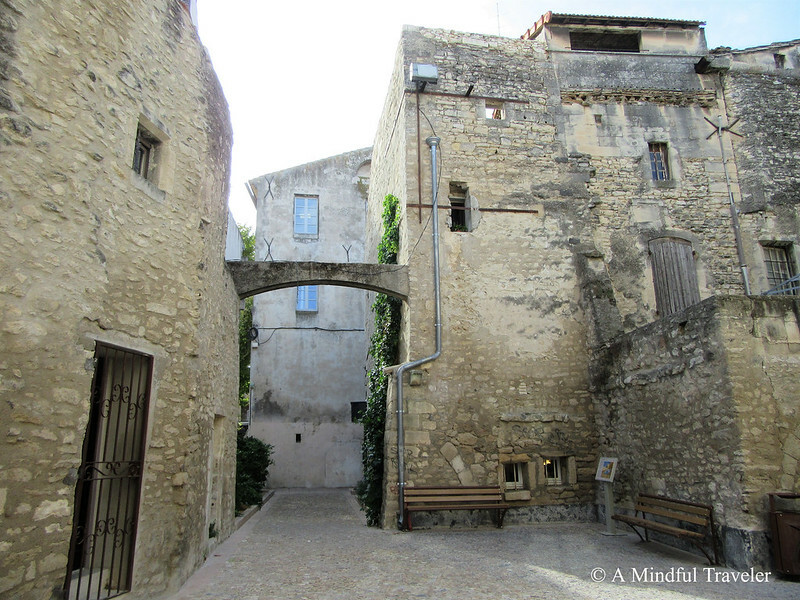 I love the towns of Provence but have not been to Saint Remy de Provence yet. It looks charming. I love slow travel. Thanks for the great review and photos. Such gorgeous pictures Lorelle- so very French. 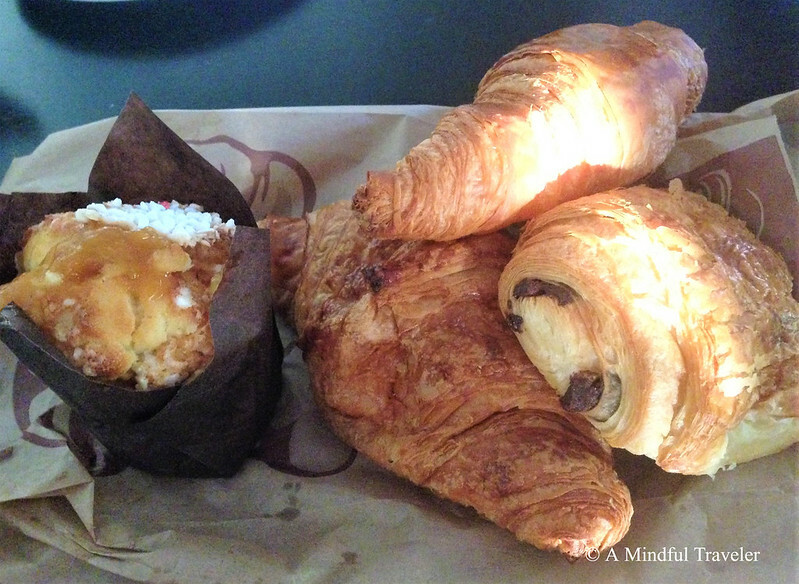 And those food photos – think I’d better go and make lunch, I’m suddenly starving after looking at your photos. I wonder why! I’d really love to explore more of France. I’ve only been to Paris and I feel like I’d really enjoy the small towns and villages! what can I say about this place? you have captured beautifully its beauty through your words. so pretty! France is full of charming little towns.. Feeling inspired now! Thank you for the beautiful virtual trip! 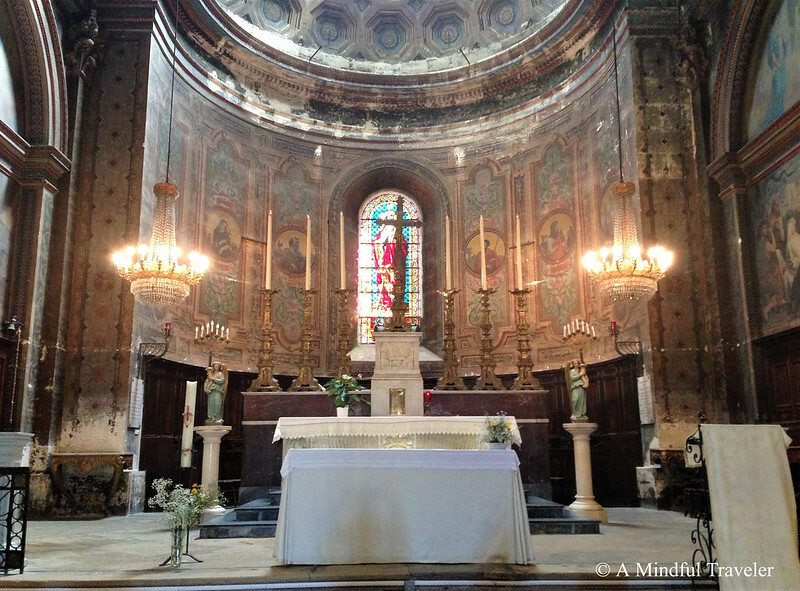 I adore the charm of Provence however I missed visiting Saint Remy . Thank you for sharing and its now added to my list of places to visit. I did. Not the way I wanted it to work out. I dislike the Eagles big time. Oh well lucky I am living here in Victoria and not WA. Did you watch it? Ahhh bit of a disappointment wasn’t it. Yes you will. Will look forward to the post. We are huge fans here. Our teams were not playing but watched anyway. Bit miserable weather wise so it was nice to sit inside by the fire. An incredibly beautiful, information & satisfying post, Lorelle! 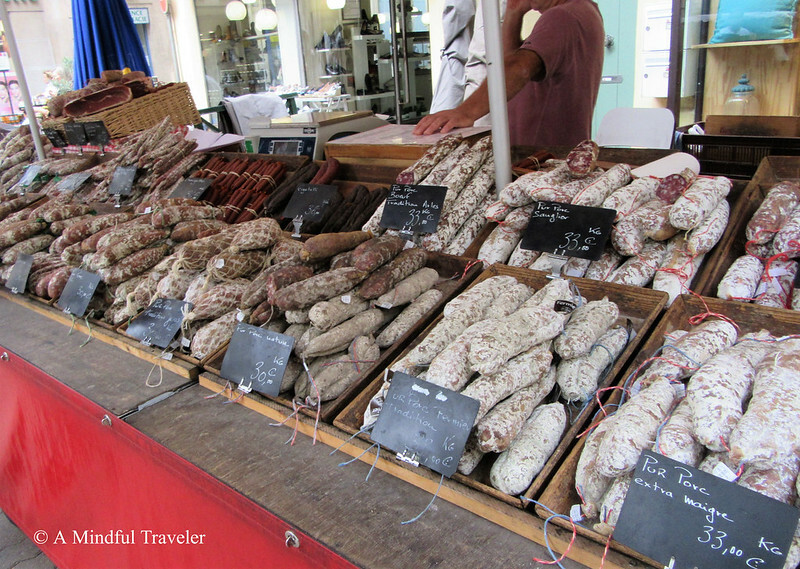 Food, culture, markets, ruins – perfection! Thank you for sharing this lovely place! 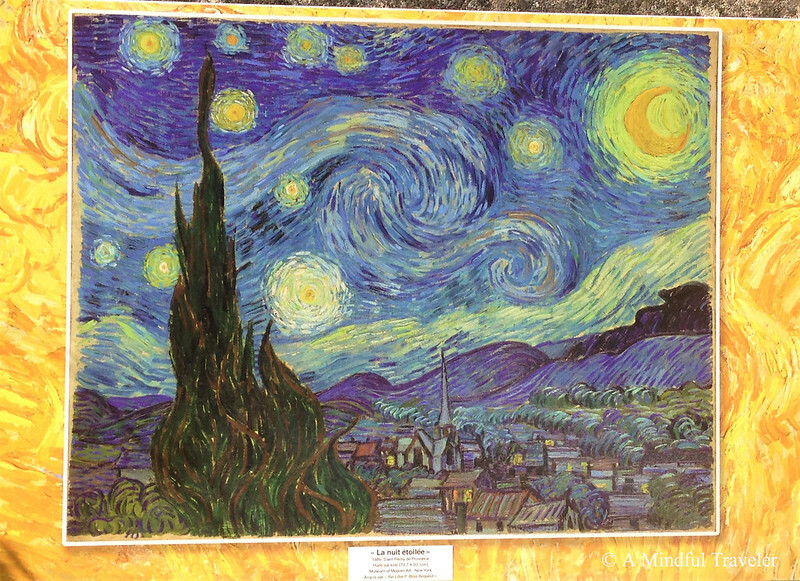 You had me at Van Gogh… Lovely place. 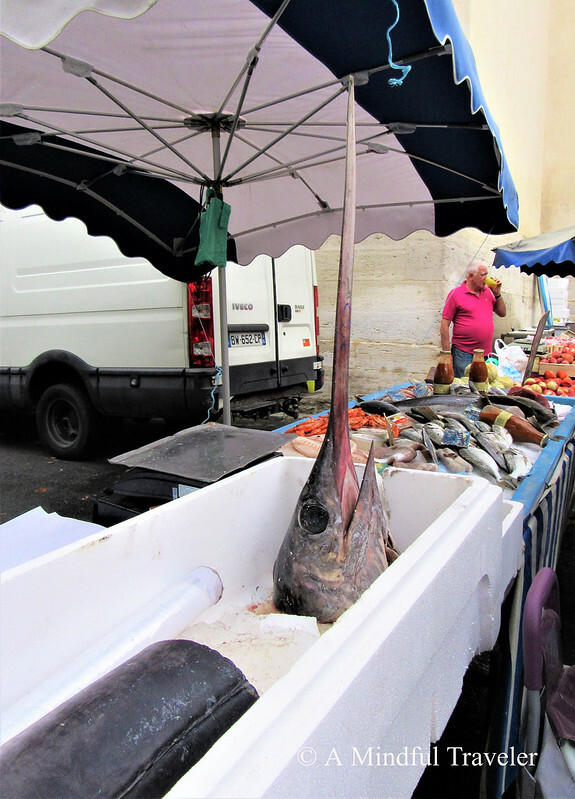 But that swordfish head…. yikes! I know right. Such a fascinating and inspiring story of a great artist. More to come on that too! Have a great weekend lovely. You still on holiday? Yes still in Italy! Can’t wait to read more! We were in St. Remy for a day trip a few years back and loved it. We really enjoyed the food market, so much to taste and explore! Beautiful area of France. Lovely blog and pictures! I love this part of the world, France is such a beautiful country, I have been many times and just love exploring the little towns and countryside! The south is defo my favourite part, got so many childhood memories of summer holidays here. This town looks so charming! I love visiting markets on my travels and this one looks amazing. I’d love to visit someday! 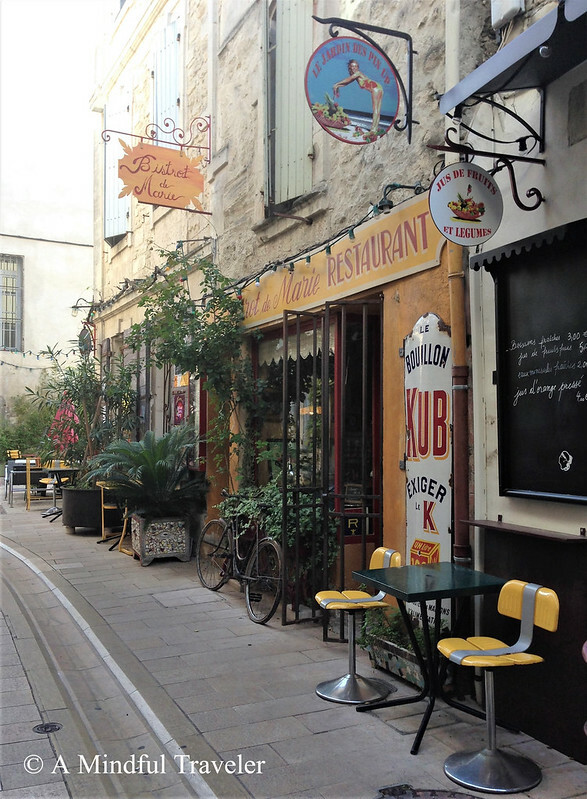 Saint Remy de Provence looks so appealing and laid back. Just the way I like it! Thank you for sharing will definitely add it to my bucketlist. What a great post! 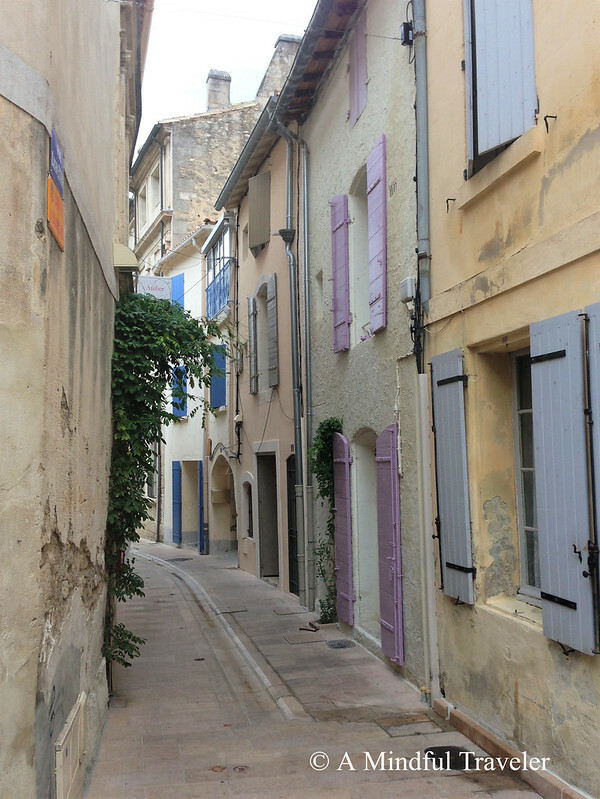 I love the coloured shutters all over Provence and the predominance of lilacs and blues. It’s a beautiful part of the world and your gorgeous photos took me right back there. That’s such a lovely place to visit! It’s very different from the busy cities and perfect for unwinding yourself. I would love to visit this french town on my next visit to france. Thanks for detailing all the important information. A very helpful compilation! 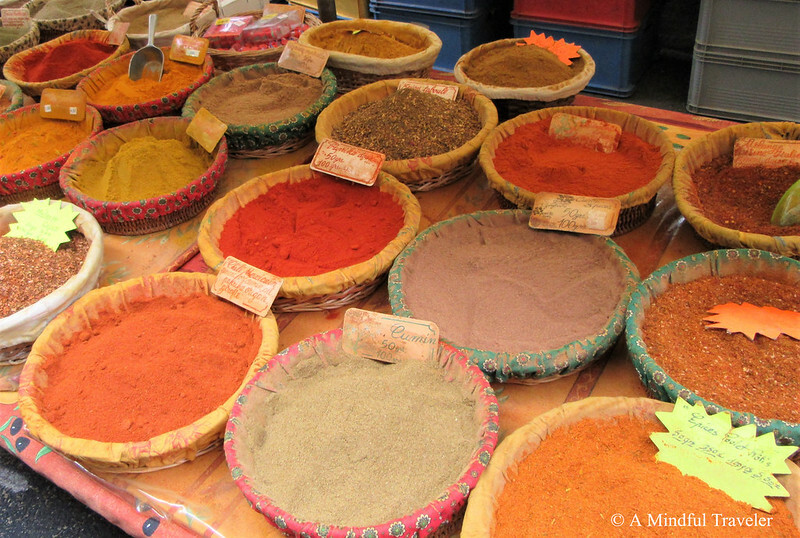 The museums look fascinating, and we love to explore local markets. Not to mention the food… sounds like a very cool place to visit! French countryside looks so great. I dint get a chance explore anything beyond Paris but next time i will. 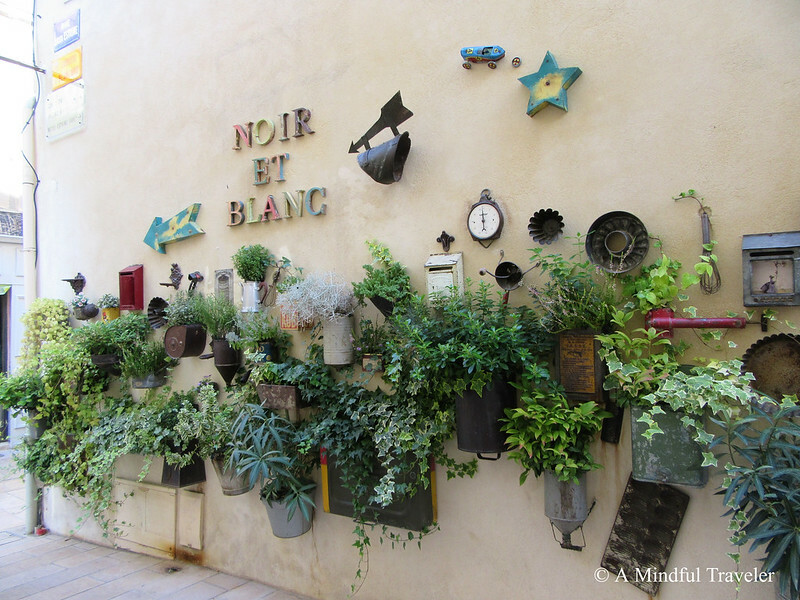 I’ve always loved the look of Provence in pictures – the old town vibe! Knowing there’s amazing food markets here makes it even better! 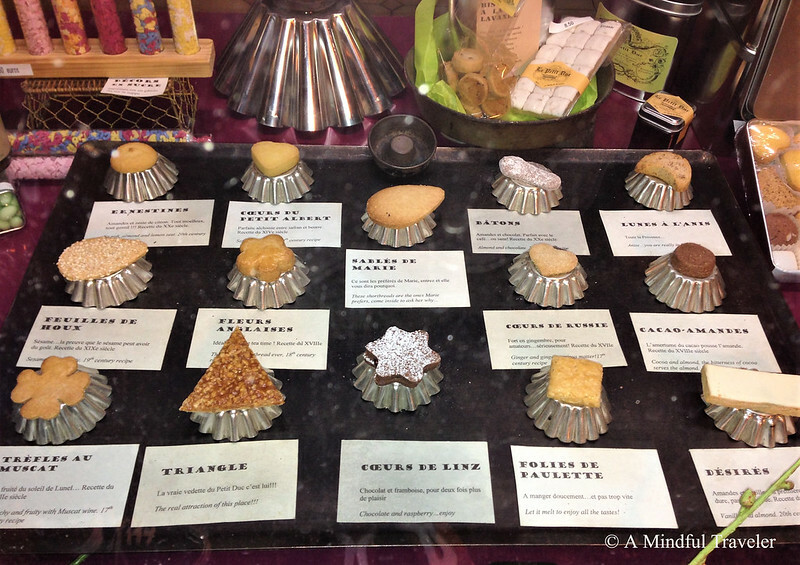 I certainly don’t blame you for falling in love with that place: Southern France is inspiring for all the five senses. I remember buying these ‘saucissons’ that come in all different flavors – they are just sooo good; and a nice souvenir once you’re back home. 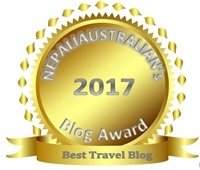 Everything looks amazing – beautiful scenery, lovely places to eat and lots of cultural things to do as well! Such beautiful aesthetic writing- you bring the place to life Lorelle! It all looks lovely, but that food in particular! Goodness I love French villages like this! Thanks Lorelle! A little jetlag 🙂 otherwise great. Much love to you. Glad to rekindle those special memories you made 18 years ago. It’s such a beautiful part of France isn’t it?